For anyone that's new and just stopping by for the first time, welcome! If this is your first time here, I'm a Sigma Ambassador and was able to get my hands on the new Sigma 14-24 f2.8 DG HSM | Art lens a little bit early and head out under the stars to test it out. 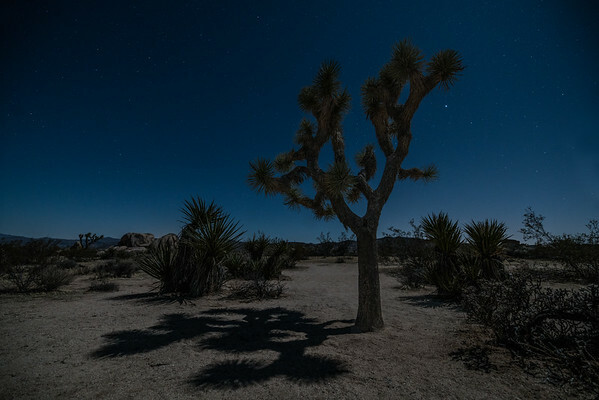 You can read a little about my first night out with lens in the Anza Borrego Desert and in Mount Laguna here. 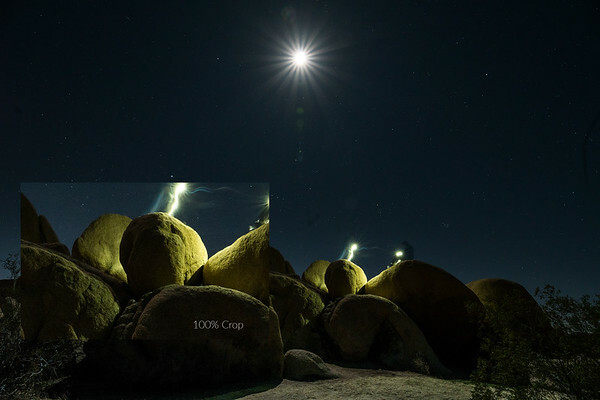 On this post, I wanted to talk a little bit more about the lens specs, dive a little bit in some closer crops and share a few images from my night in Joshua Tree National Park. Dimensions: 96.4mm x 135.1mm/3.8in. x 5.3in. Before unboxing the 14-24, I assumed it would be pretty close in size to the 14mm f1.8 ART lens and I wasn't too far off with my guess. It's a larger lens, but the build quality looks and feels very solid. I shoot many of the Sigma lenses with the Sony A7RII and the Sigma MC-11, so there's a little bit more weight added, but it's never been something that's been a concern. In the past, I've shot a decent bit of timelapse in the rain using the MC-11 and a few different lenses with no issues. It's noted that the 14-24 has a special sealing at the mount connection, so while not advised, it does sound like landscape photographers can breath a little easier when bad weather strikes. That said, I also had a camera and lens take a pretty decent spill in to an alpine lake. Unfortunately the damage there was done to the front element hitting the bottom and of course the Sony body taking on a good deal of water. I'd advise against that situation altogether! How Sharp is the Sigma 14-24 f2.8 HG DSM | A? After shooting in Anza Borrego and Mount Laguna, I was ready to check things out on a bigger screen. Even though I was getting back in sometime between 6 and 7AM, I was too excited to sleep first. I loaded up the images and got ready for my eventual nap. I went through a couple images and went through my normal checklist. I have to admit - after reviewing the back of the camera in field I only took a few images that weren't shot wide open at f2.8. In most circumstance, I normally would take multiple exposures of the same scene with each at a different aperture when checking out a lens for the first time. After checking out the first few images, it just looked so good that I didn't feel like it was necessary. 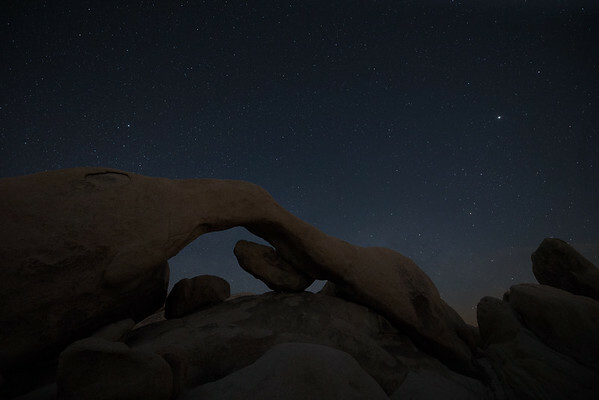 I was pretty excited to head back out to Joshua Tree with the lens and chase a shot I wanted for a while now. 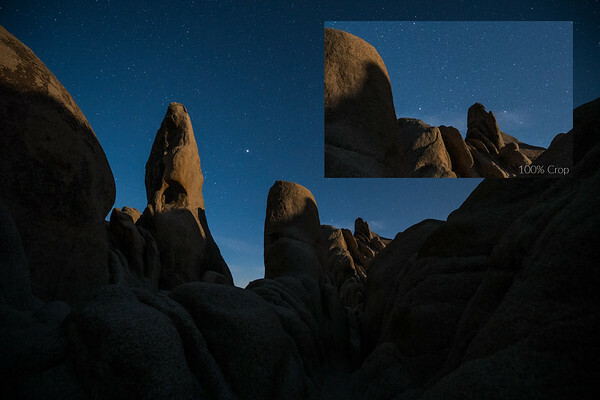 Before I get to the Arch Rock shot, let's take a look a closer look at two images. Judging image sharpness at night can be kind of tough. 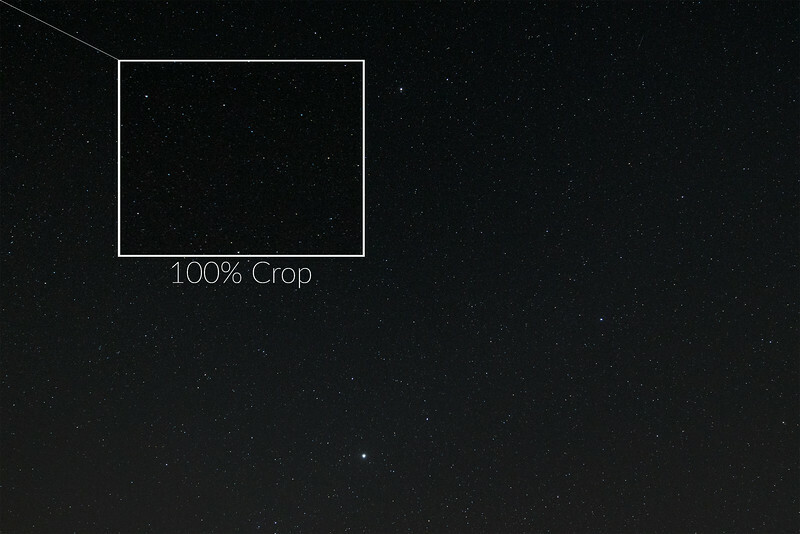 Your camera is normally shooting at such an high ISO, that even a perfectly in focus image can look a little rough at 100%. I picked out two images that had a little bit of light to help show image quality not too far from the center of the image. I had one more night to head out where the Moon would set early enough to allow some time under some dark skies. 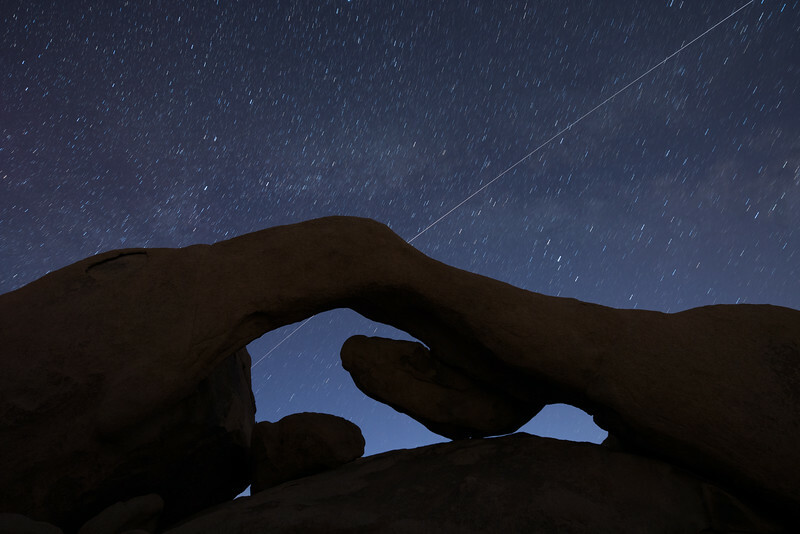 After considering my options, I remembered that I never got a chance to head back to Arch Rock in Joshua Tree that I mentioned above and it was decided! If you've never wandered around under a bright Moon, I definitely suggest it. Especially in a place with skies like Joshua Tree. It's so dark that even under a nearly Full Moon, you can still see plenty of stars. You end up being able to walk around without a headlamp while still being under a starry sky. It's a pretty beautiful and peaceful feeling. I arrived at the park pretty early, so that's exactly what I did. I snapped a few photos and climbed a few rocks to hop in a shot or two. I knew they wouldn't be "portfolio" shots or even images that I would end up sharing on social media, but I was just enjoying being out under the stars. Eventually, I did make my way over to Arch Rock to scout things out a little bit. I had been there during the day and got clouded out once before, but it had been a while since my last trip. While I was really just hoping for a panoramic image of the Milky Way over the arch, I ended up coming back with three images that I really liked. They're not too different in composition, but each has something unique about it. The first show (below) catches just the very end of Moonlight hitting the rock and shows the skies as they're slowly getting darker. You can just make out the outline of the galactic core of the Milky Way as it peaks above the right side of the arch. 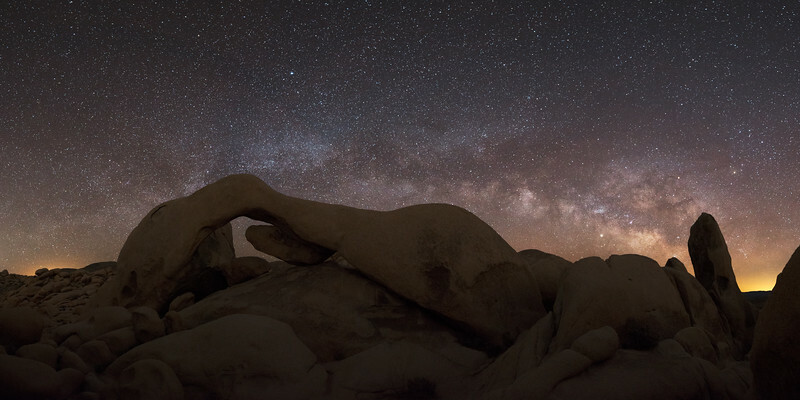 The second image of the arch captured the Milky Way in a 6 image panoramic. I waited a little while after taking the above image so the Milky Way would have more time to clear the arch. It's also more difficult to pick up detail while it's close to the horizon. If I had waited a bit longer, I would've been able to pull even more detail than I did, but I really wanted to the Milky Way hugging the arch all the way across. The 6 images were taken in a portrait orientation from right to left. I made sure to leave enough overlap, not just in between images, but at the start and end of where I was shooting. After stitching everything together, I used a 2x1 crop for the final image. The last image is one that you have seen at the top of the page, but might be a bit more interested once you learn about it! The solid line that enters the top right portion of the image and continues through the arch is the International Space Station! Traveling at 4.76 miles per second and housing 6 astronauts, I used two long exposures to catch the ISS as it streaked through the sky. This image was taken just before twilight, so the stars were slowly beginning to fade. I stopped the lens down a bit and ended up shooting the first exposure to catch the ISS from the top right until it went behind the arch and the second exposure as it passed through the arch. I then layered the images to reveal details in both skies. This is always the hot topic when it comes to a lens when it might be used for night photography or astrophotograpy. Overall, I was definitely impressed with how the lens performed and look forward to doing a bit more testing next time I'm out. While I'm waiting for the next window of starry skies free of Moonlight to shoot some more comparison images, I do have one set I wanted to share. During my shoot in Mount Laguna, I took the same full sky image at a few different apertures to be able to compare things a bit. Each portion of the image below contains the same right most part of the image shown side by side. *Note - I meant to take these at 14mm, but didn't notice the focal length was slightly off the mark. Next time I head out, I'll have a bit larger of a window to do some more thorough testing. 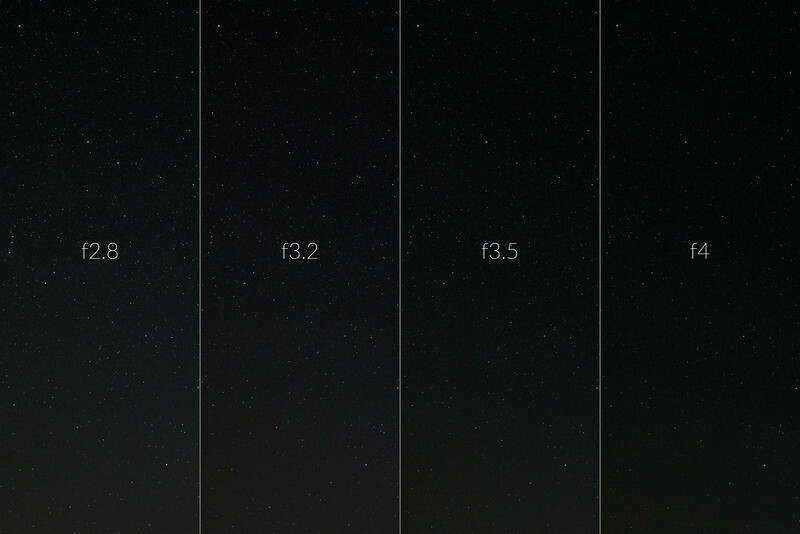 Here's the exposure that was shot at f2.8 with a 100% crop enlarged from the top right corner. Overall, I'm really excited about this lens. I have a bit more testing to do soon, but my initial impressions have all been really positive. I'm fortunate enough to be able to be pretty selective with the lenses I bring with me on projects and I can certainly see this lens earning a place in my bag. 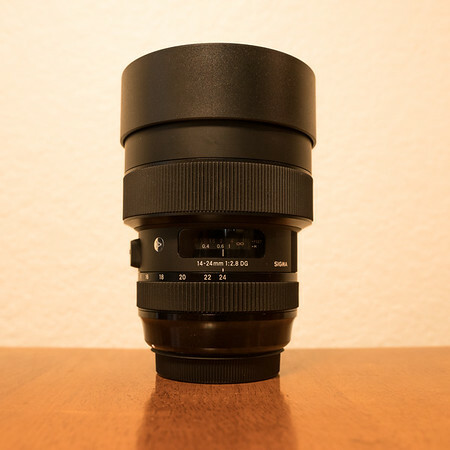 Honestly, one of my biggest surprises about this lens is the price point that Sigma has placed on it. It's available for pre-order for 1299.99. That's around $500 less than a comparable lens on the market. Next steps for me will include taking the lens out and shooting some comparison images with the Sigma 14mm f1.8 ART and maybe even the Nikon 14-24. I often have a pretty full list of things to shoot when I'm out, so I'm to find some nights to dedicate to just this purpose. Thank you to Sigma for trusting me to take this lens out a bit early! This was definitely the first time I've written a post like this, so I'd love to hear what you think. I really enjoy being able to share a bit of the story behind my time with the lens in addition to what I hope was some useful insight. If you did enjoy it, I hope you'll consider signing up for the mailing list below or following along on your choice of social media. Thanks for following along! See you under the stars!